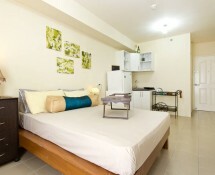 We enjoyed staying in Jayme’s Brand New Studio Unit in Makati between Dec.3-7. 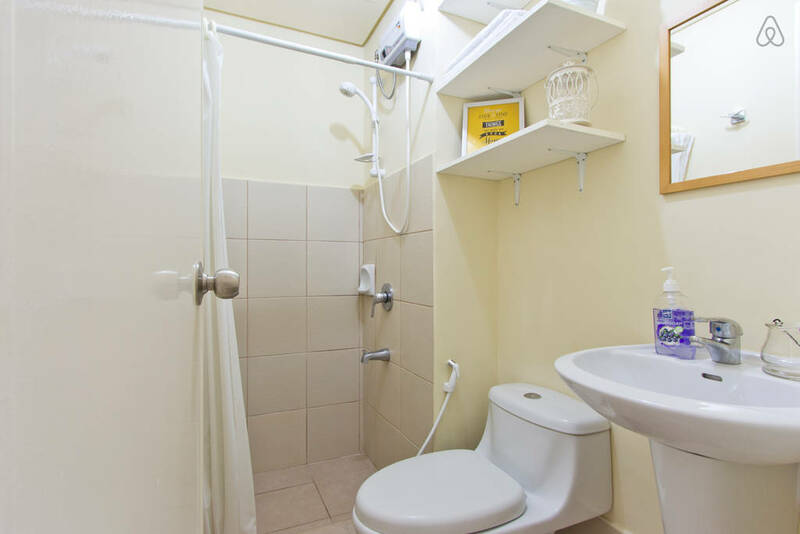 Fairly new travelers renting from owners versus staying at a hotel, you always have some doubt if the ad matches what you actually get upon arrival. Happy to say that the pictures, represented on Airbnb, matched what we saw when we walked into the studio. We had great communication with Jayme prior to arrival. She gave us her mobile number and she was also on Viber – a great app for free calls, txt. I asked her to email a few photos of the area so we and our taxi driver could recognize the neighborhood. She did just that and the pictures helped! 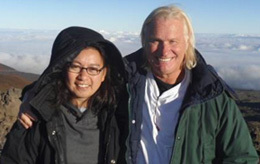 We communicated with Jayme when we arrived at the airport and grabbed a taxi. She was already at the condo and waited for our safe arrival patiently. There was a little hiccup for a few days where she didn’t have internet access and didn’t receive a few of our inquiries during our stay, but… for the most part, Jayme was very responsive. She escorted us to our condo, showed us how things worked, and answered any remaining questions we had before leaving us to start our vacation. 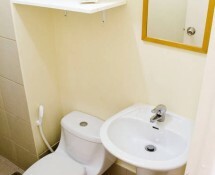 Affordable! Only $25/night when we stayed here. 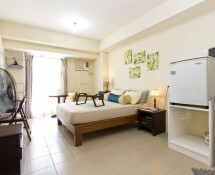 A double bed is provided with a firm mattress. We enjoyed having four(4) pillows. 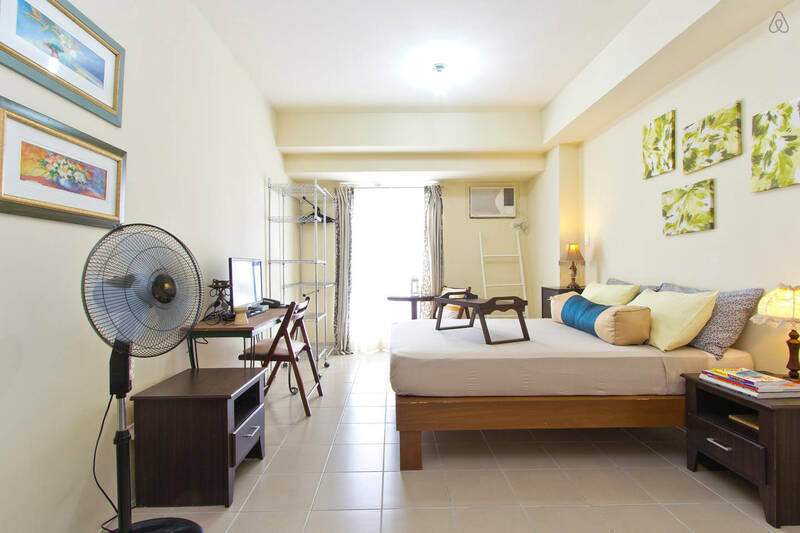 Since the condo offers air conditioning, we would’ve liked an extra blanket as the blanket provided was more for an individual or single traveler so we fought, in bed, for the blanket… Lol… (Update: December 9, 2014 – "Apologies about the blanket war. I overlooked your need for extra blankets thinking you’ll be feeling warm coming from the US so I just prepared one, just in case. There were extra blankets in the cabinet…" – Jayme.) Jayme provided us two(2) towels for our showers. Would be nice to have face towels, too but these are really small, minor concerns. 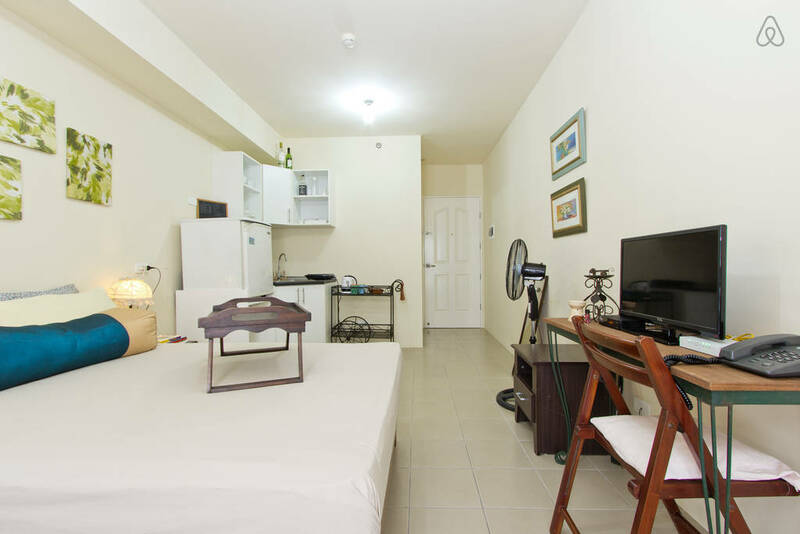 Anything you need is a short… very short… stroll to Walter Mart to get groceries, toiletries, etc. It was very convenient. We’ve heard that internet in the Philippines is slow and can somewhat be unreliable. Happy to say that at Jayme’s Makati Studio we were able to watch movies on our laptop. Wifi was great! 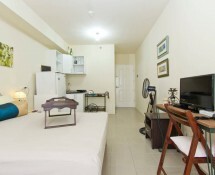 The Avida San Lorenzo Tower has a concierge, doorman and security guards at all entrances. They can help hail a taxi, help with walking directions or advice on riding the jeepneys. The location is right next to the train / bus station so it’s noisy. When I travel, I always bring ear plugs and I slept fine. 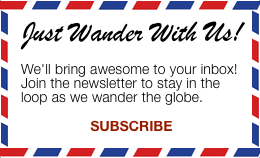 We frequently visited Walter Mart for groceries, toiletries, restaurants, etc. Mornings we visited Starbucks and tried their Chicken Empanada Puff Pastry. Delicious! You can hop on a jeepney right outside of Walter Mart to go the the various malls in Makati. You want to look for a jeepney that says, “MKT Market” (which I assume means Makati Market) which goes towards the direction of Greenbelt, Glorietta and The Landmark malls… also the MRT Ayala Station. We only rode the jeepney once but quite frankly, you can walk to the mall. 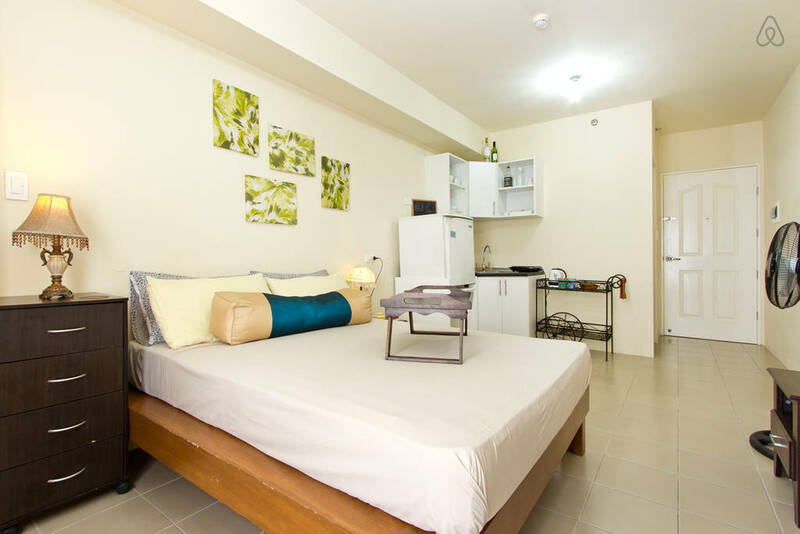 Airbnb: Brand New Studio Unit in Makati (Host: Jayme) – Avida Towers San Lorenzo – only 1 single, small blanket to share amongst two of us. For two, would’ve been nice to have an extra blanket. 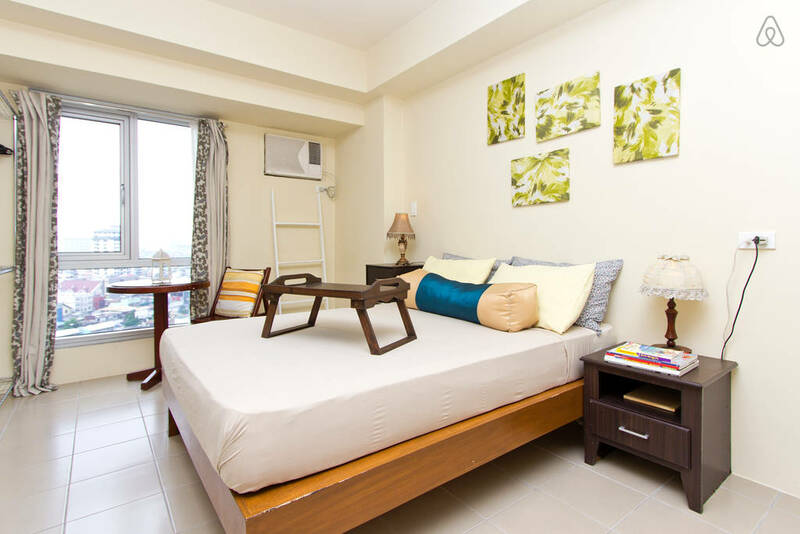 Airbnb: Brand New Studio Unit in Makati (Host: Jayme) – Avida Towers San Lorenzo – The studio gets a lot of natural lighting. 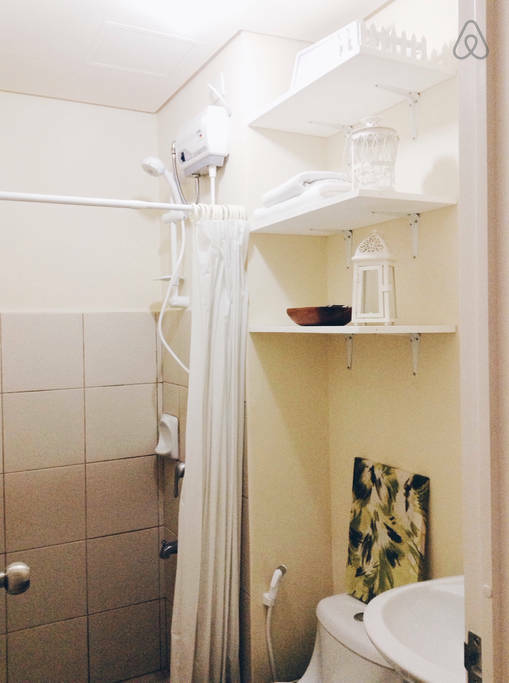 Airbnb: Brand New Studio Unit in Makati (Host: Jayme) – Avida Towers San Lorenzo – Wifi is super fast. Faster than expected that we could watch movies on our laptop. 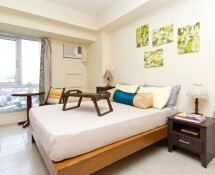 Airbnb: Brand New Studio Unit in Makati (Host: Jayme) – Avida Towers San Lorenzo – Double bed mattress is firm. 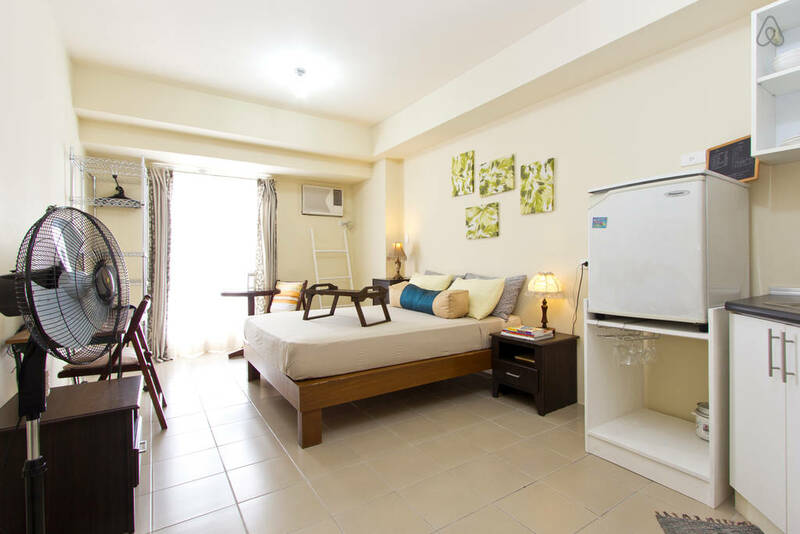 Airbnb: Brand New Studio Unit in Makati (Host: Jayme) – Avida Towers San Lorenzo – Cable is provided with a few movie channels. 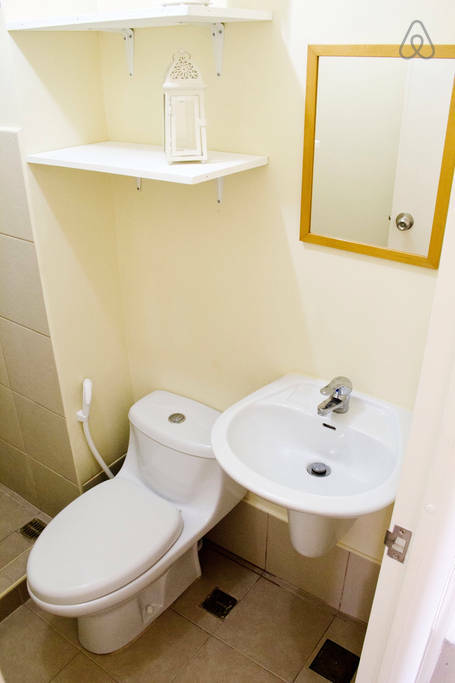 Airbnb: Brand New Studio Unit in Makati (Host: Jayme) – Avida Towers San Lorenzo – The bathroom was very clean. 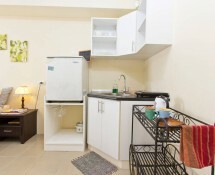 Airbnb: Brand New Studio Unit in Makati (Host: Jayme) – Avida Towers San Lorenzo – they use a hot water on demand system. 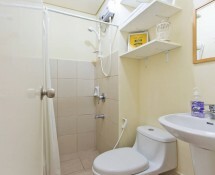 The shower was never clogged unlike some pension houses I’ve stayed in the past. 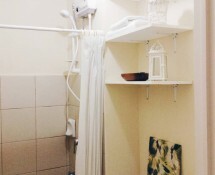 Airbnb: Brand New Studio Unit in Makati (Host: Jayme) – Avida Towers San Lorenzo. 2 toilet paper were provided but you will have to get supplies from the nearby walk to Walter Mart. 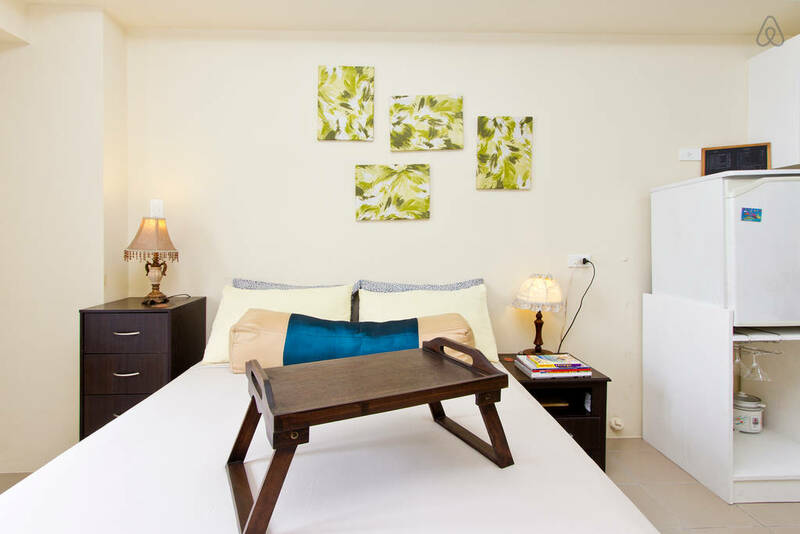 QUESTION: Always Wanted to Try Airbnb? Please use this link. 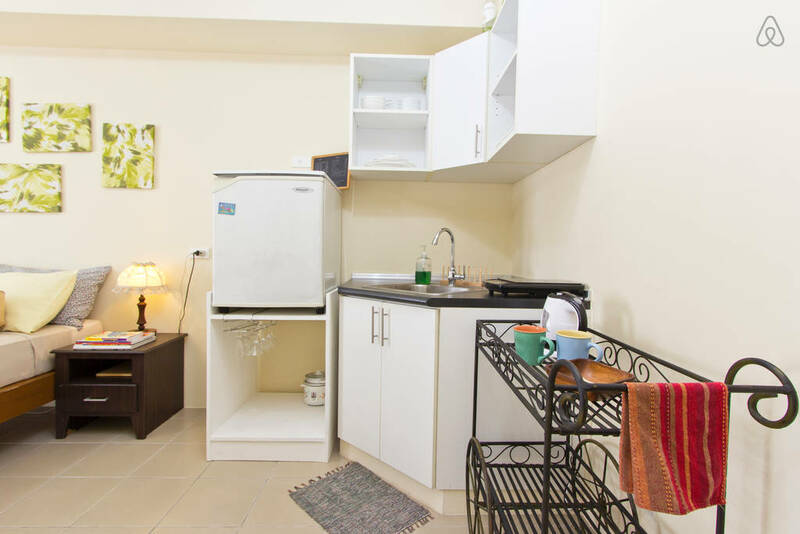 Hi,just want to know if this airbnb is avail fr aug 13-20? 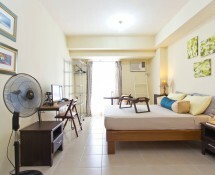 And how much per night in pesos ha. I stayed there and recommend it. I do not own or manage this property. 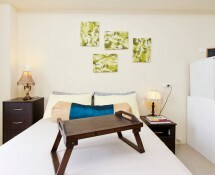 You must visit https://www.airbnb.com/rooms/3954095 and fill in the calendar section to see about availability. Good luck. Hi! I was just wondering if you can e-mail me the e-mail address of your host from Airbnb. I am a student from DLSU in need of respondents which are Airbnb Hosts for our thesis paper. I am not at liberty to share such information. I recommend you click the link to their Airbnb listing (which is shared on this post), create an Airbnb account, and use Airbnb’s “Contact Host” feature.